CAIRO – Egypt has opened the Rafah border crossing with Gaza for the entire Muslim holy month of Ramadan, President Abdel-Fatah el-Sissi announced on Twitter, in what would be the longest uninterrupted period of time since 2013. “We are witnessing the outcome through steps Egypt has taken and we hope they continue, develop and increase,” he said at a Friday prayer sermon in Gaza City. The crossing has been open since Saturday so el-Sissi’s announcement is technically an extension and Egyptian authorities said 510 people crossed on Wednesday, the majority coming from Gaza into Egypt. Last month, Hamas’ Interior Ministry said more than 20,000 people were on exit waiting lists. Through this week, an average of 500 travelers a day moved through the border, mostly leaving. In 2007, Hamas wrested control of Gaza by force, provoking the Israeli-Egyptian blockade that severely restricted the movement of most of Gaza’s 2 million inhabitants. Gaza, a densely populated, slender coastal strip of land is wedged between Israel and Egypt. After more than a decade of Hamas rule, conditions for most inhabitants are dire. Unemployment is over 40 percent, tap water is undrinkable and Gazans receive only a few hours of electricity a day. Hospitals face constant shortages, the entry and exit of goods is limited, and parts of the territory are still waiting to be rebuilt after a 2014 conflict with Israel. 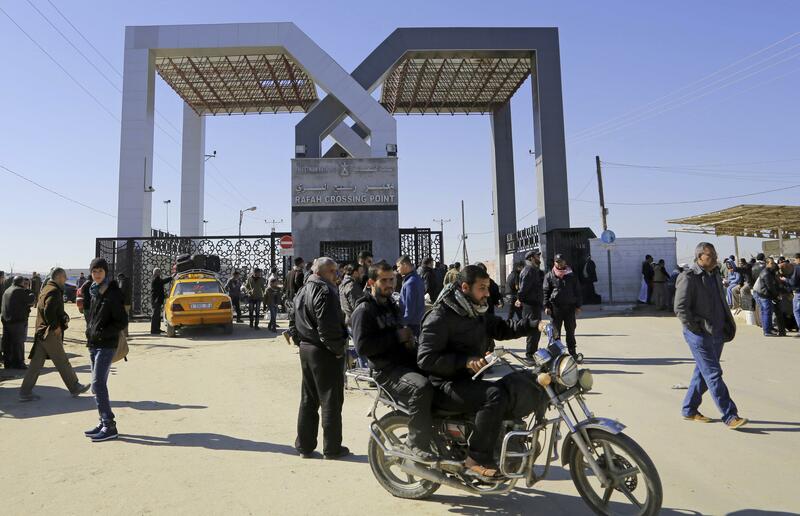 The Rafah crossing is Gaza’s main gate to the outside world but has only had sporadic openings since the 2013 ouster of Egypt’s elected Islamist President Mohammed Morsi, a high-ranking member of Hamas’ parent group, The Muslim Brotherhood. While Egypt has been struggling with Islamic insurgency for decades, militant attacks increased after Morsi’s ouster, giving Egyptian authorities more justification to tighten movement to and from Gaza. Over the years, Egypt has opened the crossing for a few days every two to three months. The announcement doesn’t change much in the daily flow of people, an official at the crossing said. He spoke on condition of anonymity because he wasn’t authorized to speak to the press. El-Sissi’s announcement is not expected to ease the lengthy, complicated security procedures that turn Palestinians’ trip to the Rafah crossing into a hardship. Egypt’s security and intelligence services haves lists of Palestinians allegedly involved in the Islamic insurgency and anti-government attacks during the 2011 uprising that forced longtime President Hosni Mubarak to step down. The measures were meant to create a buffer zone as part of Egypt’s efforts to purge northeastern Sinai of Islamic militants following the 2014 Islamic State group bombings that left dozens of soldiers dead. So far, Egypt has created a 3-mile buffer zone and is in a process of expanding it to 4.3 miles. Published: May 18, 2018, 11:26 a.m.